We’ve said it before — this is not a Batman for kids. 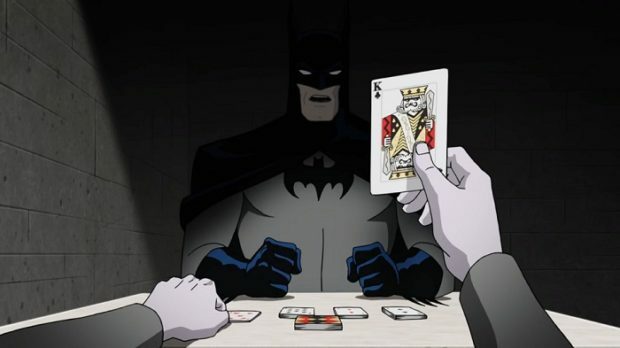 Unsurprisingly officially R Rated, this animated adaptation of the classic graphic novella by Alan Moore and Brian Bolland shows a Joker (Mark Hamill) at his most savage and insanely dangerous, with a Batman (Kevin Conroy) pushed to the edge. And no, it is not pleasant what happens to Barbara Gordon (Tara Strong), and that is an understatement on my part. But it’s a classic for a reason — engrossing and if not Batman-defining, certainly Joker-defining.